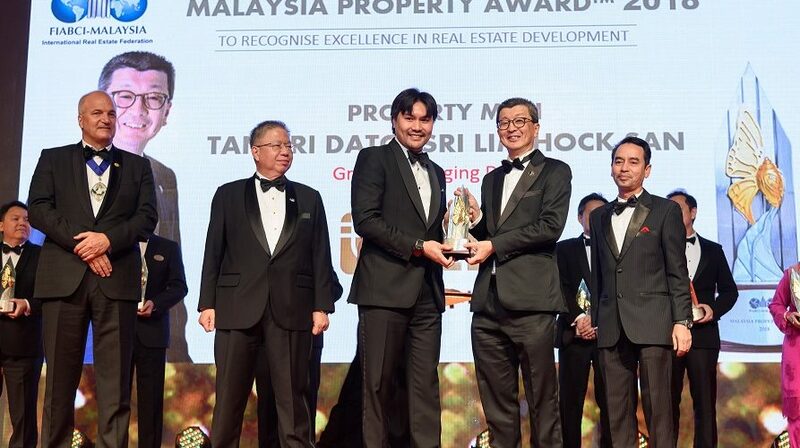 This year’s FIABCI Malaysia Property Awards clearly paid homage to the wholesome, sustainable and purposefully-built developments that are currently redefining our built landscape. I this context, LBS Bina Group Bhd’s corporate stance of giving back to the community and leaving a legacy of betterment for the country has hit a chord with FIABCI’s judging panel, who bestowed the prestigious “Property Man 2018” award to the company’s managing director Tan Sri Lim Hock San. Lim: I believe this award does not reflect on a single person alone, but the dedication of an entire team. Under Tan’s leadership, the company has grown from strength to strength over the years, and the multi-award winning township developer continues to chart sustainable growth in a challenging market with a vibrant portfolio while being equally actively involved in important social work. “The FIABCI Malaysia Chapter is held in high regard within the property sphere. To be recognised on this stage is truly an honour, and I am humbled,” Lim said at the award ceremony which was held on Nov 17 at the One World hotel in Bandar Utama, Selangor. “I believe this award does not reflect on a single person alone, but the dedication of an entire team. LBS was founded by my father in the 1960s, and I am grateful for our humble beginnings, his guidance and our strong family roots. It has enabled me to carry on his legacy and lead LBS to new heights as an award winning township developer and most importantly, a responsible corporate citizen,” he said. With over 25 years in the property circuit, LBS has strived to build a reputation as a respected, reliable and resilient property player whilst maintaining a role as a responsible corporate citizen. Now with more than 700 employees under its banner, the company has built a portfolio of projects that have garnered over 69 awards and accolades across property, business, digital media and social platforms. In line with the national housing agenda, the group has built over 34,000 units affordable homes to date, and against the grain of a challenging market climate it recorded approximately RM1.681 billion in unbilled sales as at 31 October 2018. Its development activity spans across key urban areas in the Klang Valley, Pahang and Johor. Lim said the group is optimistic about growing its portfolio, supported by a current landbank of 3,918 acres (as at 15 November 2018). 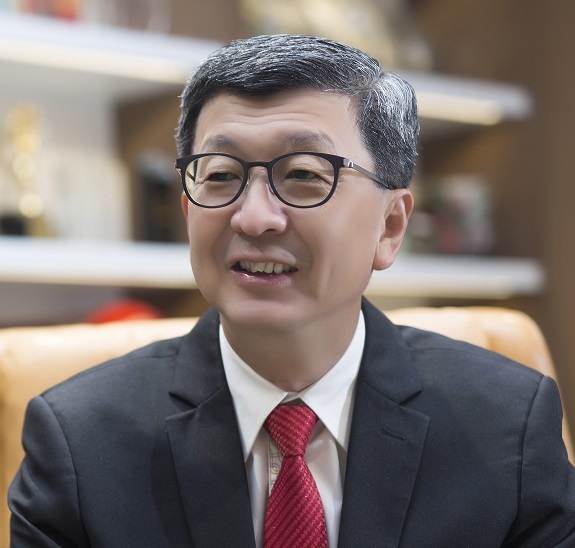 Making a bold move to diversify the business and remain relevant to the future of the industry, Lim’s vision has expanded beyond property development and is now steering the company towards hospitality, retail, and tourism. FIANCI also recognised Lim for passion towards the development of young entrepreneurs and the role he has played in pushing for social wellbeing in struggling communities as well as improving Malaysia’s bi-lateral ties with China. Guided by four key pillars, namely education, community, health and the environment, the social outreach arm of the group actively engages with initiatives and partnerships that are dedicated to improving the wellbeing of communities. His knack for excelling in professional responsibilities while finding time to focus on the development and wellbeing of communities is need are just one of the many reasons FIABCI cited in choosing Lim to be Property Man this year. The FIABCI Malaysia Property Award is an annual event organised by the Malaysian chapter of FIABCI, which is an international federation of property industry professionals. The award has grown in stature over the years, and today it is widely regarded as the gold standard for the industry’s elite and is affectionately referred to as the “Oscars” of the property fraternity.